It might not feel like it in certain parts of the country, but spring is finally here! And with it comes the usual bout of spring cleaning. This year, as you go about your regular seasonal chores such as washing your deck or dusting off your ceiling fans, take a second to also take care of a different kind of spring cleaning–fixing up your car. The winter can be harsh on vehicles, and even if you do not live in a particularly cold climate, the spring is a good time to take care of some seasonal repairs that will have your car up and ready just in time for taking long summer road trips. 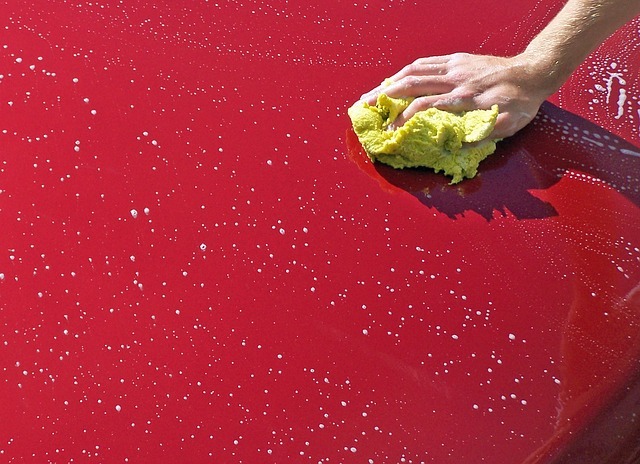 Here are a few simple steps for spring cleaning your car. Even if you have all weather tires, the winter months can be hard on them. Check the tread depth and overall quality of your tires–look for things such as cracks and excessive wear, for example. Furthermore, you will want to double check your tire pressure, as the pressure can change along with the temperature. Get your car ready for those April showers by making sure that you have a really good set of wiper blades. Driving with old or dirty wipers can impair your ability to drive safely. Even quality wipers are not very expensive, and you can replace them easily yourself, so it is well worth the investment. You might also want to check your washer fluid, to make sure that it is full and also to make sure there is no dirt in there. If there is any leftover gunk from the winter on your car, it will all collect underneath. You can use a high pressure washer to clean it off, and if you don’t own one (as most people don’t), you can usually find them at any car wash. Focus especially on the front and rear bumpers. Once you have finished cleaning, check for any signs of rust. While you are washing the underbody, you might want to wash the rest of your car too and give it a new shine for the sun! Your car’s engine works hard in the winter, so you might find that a lot of your fluids are low. Check them out–or have a mechanic take a look–and top off any that are looking low. It is also a good idea to have your air conditioning checked out in preparation for the summer–you don’t want to wait until it’s 90 degrees to find out that it isn’t working! You can find a step by step guide for changing your oil here. Your brakes will also have experienced a lot of extra wear in the winter months, so you might want to make sure that they are still at a safe level. A lot of mechanics will do brake checks for free, or if you fancy a challenge, you could try changing your brake pads yourself.